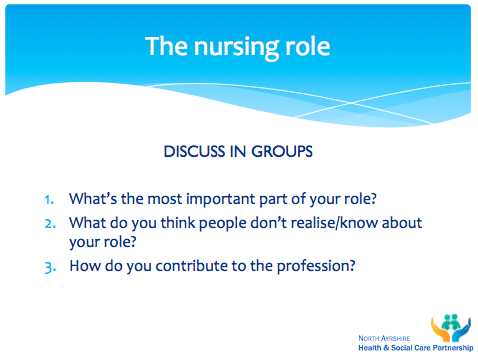 It’s a question I sometimes ask groups of nurses & midwives when I manage to engage them in conversation. 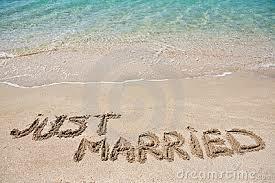 The answers vary greatly – and tend to be person specific. I’m also keen to know what the one thing is that either stops nurses and midwives from doing a great job, or what one thing would make it easier for them to do a great job; again the answers are variable. 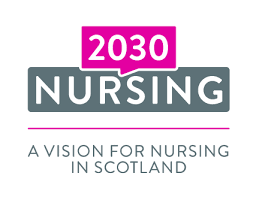 The launch of the Nursing Vision 2030 http://www.gov.scot/Publications/2017/07/4277/6 in July was essentially a compilation of people’s thoughts, hopes and dreams for how we support the profession to move forwards. So for me making good progress on implementing the Vision would certainly be one thing for me to do in the coming year. 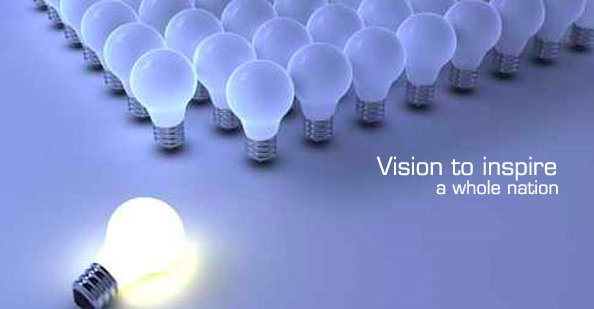 are interwoven in the Vision but set out clearly where we need to get to. And whilst I know that more nurses is not always the answer to supporting the delivery of excellence in care, I recognise that without the right numbers of staff, with the right skills, high quality care is unlikely to be delivered. So the government’s ambition to increase the numbers of student nurses and midwives by 2600 in this parliament is welcome. At the time of writing, the Cabinet Secretary had yet to announce the figures for student nurse and midwifery intakes for 2018/19, but at the moment, there have been five successive years where intakes have increased. The Commission was published in early December and has some challenging recommendations, which I’m confident will stand the professions in good stead in the years to come. It will open up the professions in many ways; both by supporting people into higher education who may not have traditionally studied at that level, and also by attracting people into the professions who are already graduates and are looking for a change. Notably, there is significant work to be done in our Care Home settings – where the opportunity for professional growth and development is undervalued. Looking back then on last year, in preparation for looking forwards, we’ve much to celebrate; preparation for our employer led midwifery supervision programme was launched and has been well received; our work on transforming roles is helping the professions to flex and change so that we can continue to support health improvement and deliver care, across a range of settings; and the work on safe staffing, whilst at times challenging, is moving forwards and will support the delivery of Excellence in Care – our improvement and assurance approach for nursing and midwifery care across Scotland. From a service level perspective, regional plans are being developed, health and social care continues to integrate, and the Best Start has been launched- which is a real opportunity for midwives to support the next generation into better health. However, if there is one job for me next year, it’s taking steps to support the improvement of the health of Scotland’s nurses and midwives. In our consultation for the Vision, nurses themselves signalled that at times, challenges with their personal health and wellbeing got in the way of delivering the care they would want to deliver. I know that there is an emotional cost of caring that is challenging for our professions – a bitter sweet aspect of our practice – it’s what has often drawn us into the profession and makes it so special, but if not carefully managed, can cause burnout. And as we age (gracefully I hope) our physical health at times can also take its toll. Figures published earlier in the year highlight that the public health problem of obesity has left its mark on nurses and midwives – who suffer from obesity to a greater extent than the rest of the population. So as I step forwards into a new year with new challenges, health and wellbeing of the profession will be at the top of my list. This blog was written by Professor Fiona C McQueen (@fionacmcqueen), Chief Nursing Officer for Scotland at the Scottish Government. Post Script 31 December 2017, 19:00hrs. Readers of this blog are most likely to be aware of how busy our services have been over the holiday period. My Scottish Government Director colleagues, and others have been monitoring activity across Scotland, which has been higher than we would have expected. Whilst we’ll have to wait for ‘official’ statistics, services across Scotland are reporting people presenting with flu as well as other illnesses, which has been putting greater pressure than usual on our services. A number of us have been visiting sites to be with staff as they continue to deliver care to their patients. This morning I had the pleasure of visiting Ayr Hospital. On arriving at the main entrance, Kieran, one of the domestic team was taking a great pride in keeping the hospital spotless. I was blown away by his enthusiasm and pride for his job. Visiting ED, ITU, the assessment unit as well as a number of wards, I was left in no doubt of the professionalism and dedication of the whole team; I met nurses, doctors, AHPs and others – all giving of their best and taking a real pride in their work. Entering a new year, I have no doubt the staff of NHS Scotland are the life blood of our service, and our soon to be 70 year old NHS is very safe in their hands. These are the first words I saw when looking at Patient Opinion and reflecting on how people are experiencing our services. They are words that are often reflected in how people think of the care they receive from nurses and midwives across the country, and as we move forwards into a new year, words that should ring in our ears and encourage us to be even better than we are just now. So how then can we lift our heads and make sure excellent care is delivered to the people of Scotland reliably, and every time? And how then can we support practitioners to contribute to improving health – either with individuals or communities. How can we create the conditions for nurses and midwives to flourish and for them to believe that they can at all times do the very best for their patients and their loved ones. At times we can be so busy in the here and now, it can seem impossible to take time to plan a new future, but if we are to continue to service the people of Scotland, we do need to be able to lift our heads and think through how to respond and prepare for the future. Putting the surprises (at least for some of us and certainly the pundits) of Brexit and the American presidential campaign and election to one side, much has gone on in 2016 for our professions. The creation of Health & Social Care Partnerships, whilst maybe formalising what was already happening for some, saw one of the biggest changes to the delivery and decision making system within health for generations. Wider UK/English health policy on immigration, as well as the creation of the Nursing Associate in England may well have implications as to how nurses and midwives work within Scotland. 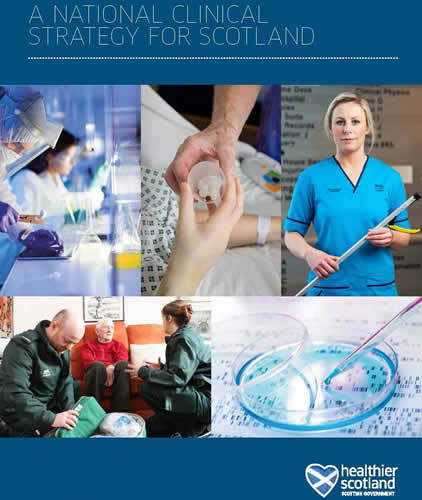 Closer to home, this year saw the publication of the National Clinical Strategy and just last week the health and social care delivery plan was published. Each of these outlining the transformation that is needed to respond to the needs of the population and to support care to be delivered closer to home. I was also delighted to launch the consultation of the creation of a nursing vision which would take the profession into the future and support nurses to be prepared to deliver care within partnerships and also from our hospitals where services that require more specialisation will be developed. Building on the actions that we’ve taken I am keen to see further work on Excellence in going forwards, which is a care assurance system the Cabinet Secretary asked to be developed in response to the Vale of Leven Inquiry, as well as the first steps to support the government’s intention to introduce safe staffing into legislation. I’m looking forwards to the launch of the Mental Health Strategy as well as the Maternity and Neonatal Strategy and am confident that nurses and midwives will play a central role in the transformation of all of our services and continue to play our part in improving the nation’s health. Our national health service is rightly, a national treasure, we have a real role in helping develop and deliver services that create a sustainable future. For that to happen we may have to let go some of what is familiar and comforting to us. Much of that will be striving to deliver excellence in care; some of it will be working to create a new future. I’m confident the profession will be part of the new paradigm that is being created, and look forwards to stepping into our future. This week’s blog was by @fionacmcqueen (Professor Fiona McQueen), Chief Nursing Officer for Scotland, Scottish Government. 2. It’s harder than I thought to keep up the momentum for continuous improvement. This is one of the problems that troubles me most. Within the safety programme, expanding to new areas such as dentistry and community pharmacy is great for creating new momentum. But keeping the energy around the existing programmes is more difficult. … more regional work; more campaign style changes, and more celebration. 5. There is absolutely no substitute for understanding a system from everyone’s perspective, before you can start to improve it. Particularly service users. – higher than the monarchy, higher than Dr Who, higher than the Beatles, the Armed Forces and Football Association1. 7. I learnt that you can reduce the chances of a prisoner re-offending by six times with parenting classes in prisons. 16,500 children in Scotland live with a parent in prison every year – that is more children each year than divorce2. And it turns out that by supporting dads to keep in touch with their kids and teaching them how best to “parent from afar” helps them to feel closer to their families and when they return home from prison, they are less likely to reoffend. Shotts prison is doing some great improvement work as part of the Children and Young People’s Improvement Collaborative, supporting dads to develop their parenting skills. They are making a fantastic difference. And talking of What Matters To Me, I learnt that “What Matters To You Day” on June 6th 2016 attracted 500 health systems and 11 countries to take part – a fantastic achievement for everyone involved. We fought hate with the only thing we had – Love ! 10. And finally, I learnt how the only way to fight hate is love. On June 12 2016 The Orlando Regional Medical Center received 36 critically ill gunshot victims from the largest mass shooting in US history at the Pulse Nightclub. 36 survived. At the IHI World Forum last week, I had the privilege to hear six of the team describe their roles and the role of hundreds of others. From an ED nurse to the CEO their compassion and technical ability were palpable. The nurse finished her story by saying “we fought hate with the only thing we had, love“. A very merry Christmas and Happy New Year to you all. 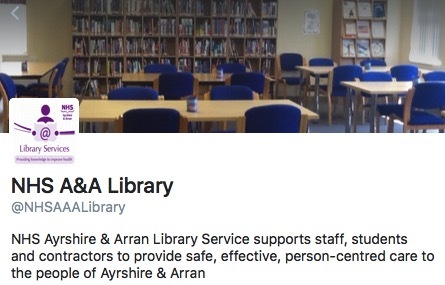 After four years of posting a blog every week come rain, shine and holidays, leading to 215 blog posts, Ayrshirehealth blog is coming to an end – it is a situation of mixed emotions and necessitates some important thank yous. Two main groups of people need to be thanked. 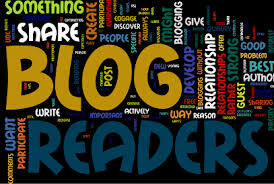 We have read blogs from over 50 bloggers throughout the four years, some are multiple bloggers and some are one-off bloggers. I’d like to say a massive thank you to each and every single of one them – they’ve taken the time to write the blogs and to share their thoughts, ideas, expertise and experience. The second group of people to thank are you, the reader (especially those that follow the blog and get a weekly email directly into their inbox) – without you joining us in the journey of sharing and co-learning the value of the blog would have been greatly diminished – you are the essential life blood of any blog. Throughout the years many of you have posted comments on various blogs; thank you for doing so, our bloggers appreciate you taking the time to do so, it’s a useful avenue to explore thoughts, feelings and actions. Individually I was always encouraged on the road around digital engagement by Fiona McQueen (@fionacmcqueen) and via the support of May Smith (Comms)(@mayjs_93) – both of whom have now left Ayrshire. The ongoing support from the Comms team in A&A has been much appreciated. Although Ayrshirehealth is now ‘resting’ there is another blog which models itself on the Ayrshirehealth approach, which I’d encourage you to sign up to follow. Ken Donaldson (@kendonaldson), NHS Dumfries and Galloway started dghealth.wordpress.com a short time after Ayrshirehealth. We have collaborated and shared our blogging journey, I’d highly recommend it to you, it follows the same format of having different bloggers each week – some clinical, some not, but always interesting and engaging. 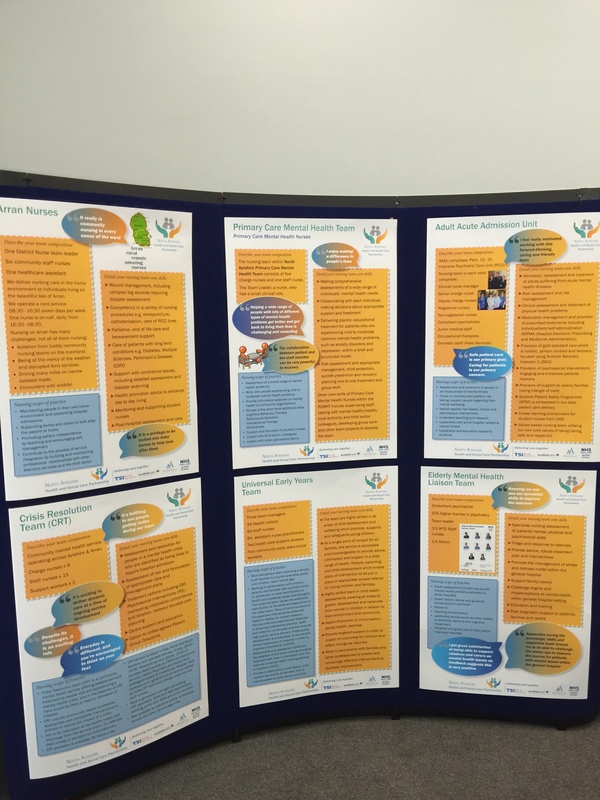 And so to why Ayrshirehealth is coming to an end? 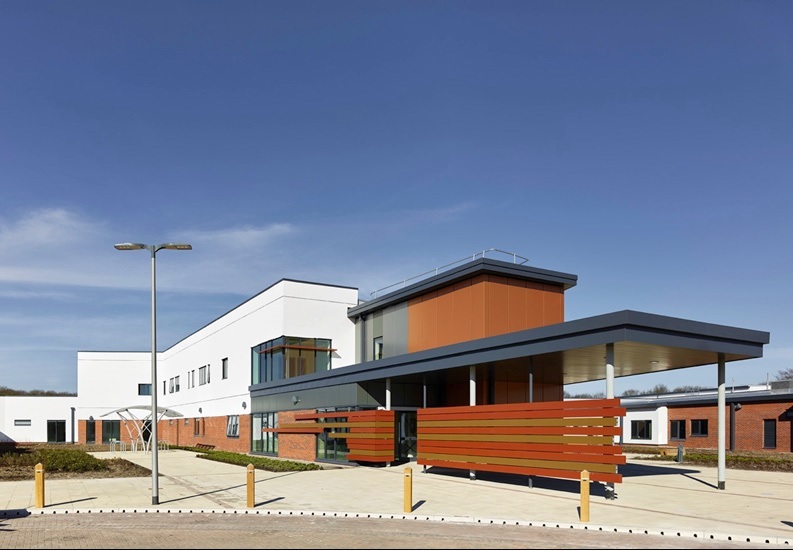 After 32 years in the NHS I am leaving to take on a new opportunity (@dtbarron) – this time, just like the NHS, with another much loved organisation – Erskine, the veterans charity, where I’ll be privileged to take up the post as Director of Care. 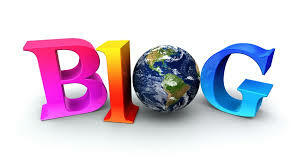 It would be a fair to reflect on if the blog has achieved what it set out to do. In June 2012 the ‘target’ was to have the blogs viewed 3000 times by December (six months) – extrapolating that to the eight half years the blog has been running would mean 36,000 views of the blog over the four years – so having had 113,800 views the blog has exceeded my expectation, especially as that equates to 48,384 visitors. As can be seen in the link above, instead of 3000 reads of the blog in the first six months we achieved 6000 reads. Additionally I underestimated the reach of the blog, seeing readership in over 120 countries was beyond anything I had imagined, even if year one stats made interesting reading. The lesson for us all when considering how to engage is to look at social media, and blogging specifically, as an additional route to reach audiences that might not be reached via traditional methods. It can, where required, open up global networks of professionals, service users and carers allowing the sharing of knowledge and information. But – if there is one thing I’ve learnt it’s that blogging and/or social media isn’t for everyone – neither is email, or telephones!! 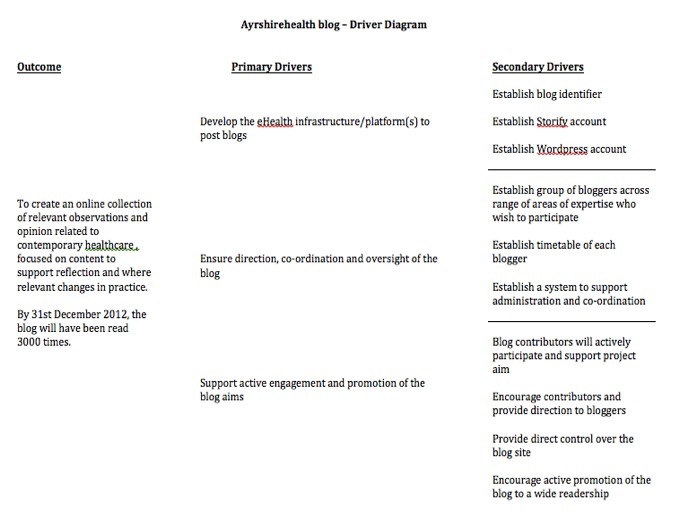 Hopefully you’ll agree the Ayrshirehealth blog had a purpose, which it achieved in sharing knowledge and experience related to health and care across Ayrshire and beyond, as laid out in the Driver Diagram. It simply remains for me to say thanks to each of you for reading this – I wish you all the very best for the future. This week’s blog was written by @dtbarron (Derek T Barron), Lead Nurse, North Ayrshirehealt & Social Care Partnership | Associate Nurse Director, NHS Ayrshire & Arran. Although Gibran’s words were about parents and children, these words have resonance within me about the future of our profession. We’ve come such a long way in recent decades, and made such a difference to people’s lives as a consequence of that. If this growth and development is to continue, then I think our next Nursing Strategy (yet to be named) must prepare the profession to respond to the needs of our communities in a way that we’ve not yet experienced or thought of. 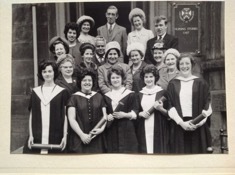 Would Elsie Stephenson, who set up the first Nursing School (in Edinburgh) in a university have envisaged our all graduate profession and the impact our Nursing Schools and our new graduates across Scotland are making to reduced morbidity and mortality? Would we have imagined that senior nurses – both clinicians and academics would have had such an impact on reduction in HAI? Would we have imagined the Advanced Practice roles that many practitioners are now taking on, making sure that services to local communities continue to be safe and effective? Would our predecessors be surprised that at Board level, Boards are talking about the delivery of compassionate care, and nurse staffing levels? I’m not sure that we could have foreseen any of the above, but what I know for sure, is that in 2030 if we are to continue to take our place in supporting communities to improve their health, and provide compassionate care, it is likely to be in a way that few us can imagine. But what I also know for sure is that we will be there supporting our communities, putting professionalism and compassion and the centre of all that we do. There may well be new professional groups, but for sure we’ll be working in strengthened multi-disciplinary teams, supported by digital communication. And as I go around Scotland, I hear about amazing pieces of practice and leadership that has transformed care, so it is vital that we make the connections across our profession and build on where we have come from and put concrete plans in place to support the nurses of the future to be sure footed and competent, but also able to change and grow to ensure we continue to meet the needs of our communities. It’s for that reason I think we need a coherent vision of what action we need to take in the coming years, to ensure nurses are prepared for the future. The timing is right- we have a new government with high ambitions for the public sector, and health in particular; the implementation of the National Clinical Strategy, that has an overarching approach but based on a strengthen primary care and equality of mental health with physical health. There are high expectations of all professions in delivering out of hours care, as well as our other national strategies, but nursing in particular, being with people and their loved ones 24/7 do have a particular role to play. That means making sure we create an environment where nurses can flourish and provide safe, effective person centred care becomes all the more essential. We will have legislation to support safe levels of staffing, so we now need to create a vision that delivers not only the right number of nurses, but with the right skills. Setting the direction is full of promise that there will be real and meaningful support of our current workforce from a post graduate education and development perspective; that will become all the more crucial if we are to prepare the profession for a future that will certainly be different. That’s why I think it’s important that the whole profession, as well as our communities can contribute to and shape that vision. 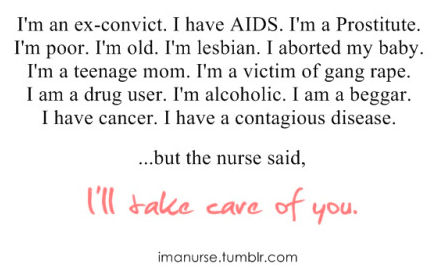 And just as we know that care delivery will be different, I’m keen to engage with the professions in a different way. and as NHS Highland did last week – have Webinars to help every nurse in Scotland to have a part in shaping the future. We have a real opportunity to shape our future; whatever role we carry out, we are all linked with a common purpose – to support people improve their health and deliver compassionate care. Please look out for ways you can contribute to that future and let me know what you think. 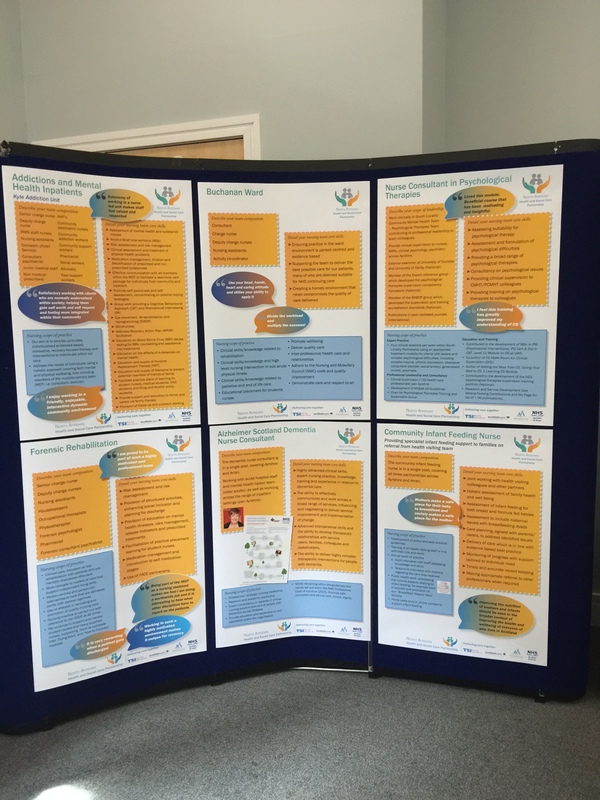 On Friday of last week (6th May) nurses in North Ayrshire Health & Social Care Partnership (NAHSCP) held a ‘Nursing in Partnership’ event. Over 80 of our nurses came together to share knowledge, skills and expertise. 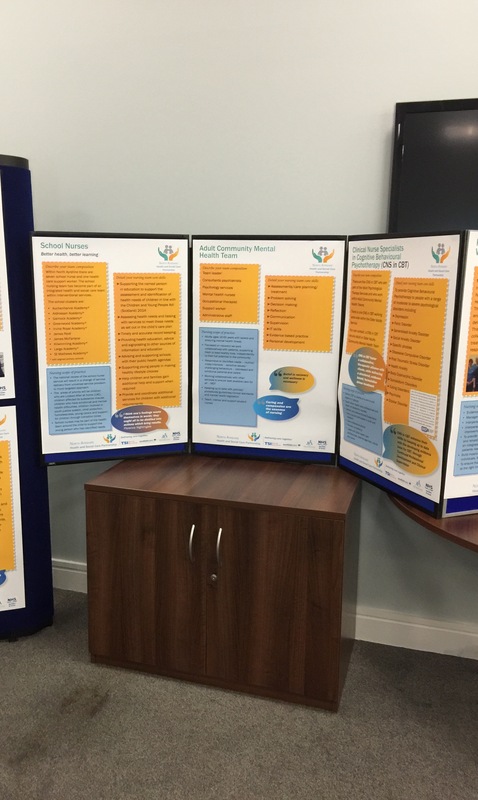 They also came together to share an understanding of the diverse scope of practice across NAHSCP, where we have over 800 nurses working in the Partnership, and to explore how we, as a profession, continue to contribute to the Partnership’s vision and objectives. A significant feature of the whole day was the buzz from beginning to end, the unmistakable enthusiasm from the nurses there – to their individual roles, but also to the partnership – this wasn’t about nurses being self isolating, this was about embracing what we can achieve together. 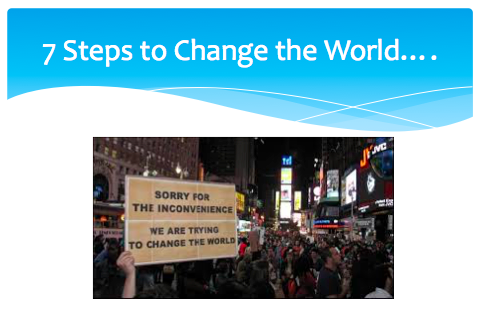 Starting off the day, Iona Colvin (@iona_colvin) shared her vision for NAHSCP – the presentation was titled “Seven steps to change the world”. The vision was unmistakably inclusive, each one of us was left in no doubt that our contribution was valued and valuable. Key messages included the need to have a plan and that we all need to understand it. As leaders there is no point in charging ahead only to find out that no-one is with us. The importance of both authentic and distributed leadership was emphasised in encouraging us that we can ‘change the world’ but we need to be on that journey together. It was clear from Iona that this wasn’t about being ‘generalists’, there wasn’t an agenda of developing some form of generic workers, this was about the added value each profession brings to the partnership from their core skill set; it was however about considering what we need to do differently. A key point, welcomed by all the delegates was the need to “stop assessing each other’s assessments” – whether that is a nurse reassessing a social workers assessment or vice versus, we need to share knowledge and trust each other in assessing needs. We then heard from the Chief Nursing Officer for Scotland, Professor Fiona McQueen (@fionacmcqueen) on developing her vision for Scotland. 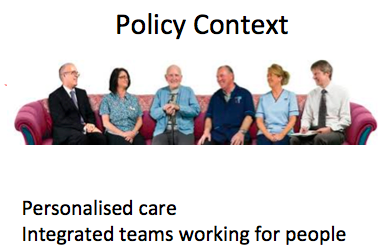 The policy context was evident in her third slide, but so to was the challenge around how we own the policy context locally, and in the future shape our own policies. As a profession we were challenged to considered our place in integrated teams, to think differently both in terms of new roles, but also traditional boundaries – extended, enhanced, specialist and advanced practice. 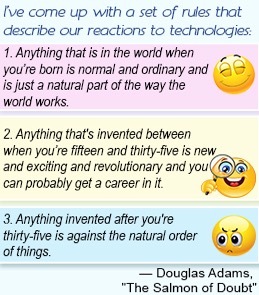 What part do each of these have in our ‘future’ profession? The professional context was explored by Fiona in relation to revalidation, the NMC educational standards review and the inevitability of many in the room working longer – this means we need to consider now what the future may look like in order that we can shape it, rather than being shaped by it. In addition to other events that have been held, or will be held, for those on Twitter Fiona will be holding a ‘Tweetchat’ around developing the vision of nursing in Scotland – it will be held on 24th May from 19:00-20:00hrs, using #CNOScot as the hashtag. Please feel free to join in. Of course it would be remiss not to mention the ice breaker word search where one team scored 152 words from their grid – but where one team ended up with three ‘J’s in their word grid there was always going to be wide variations in possibilities. In the morning feedback it was clear that nurses are people people – person centred care was central in the feedback from each group. Being with people (and families) was an unmistakable theme. ‘What matters to you’ and ‘making a difference’ were messages from each of the tables. The privileged position that nurses hold in society, within communities, with families and with individuals was recognised and highly prized by the delegates. 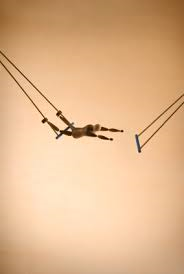 There was also overwhelming acknowledgement that with that privileged position came great responsibility. 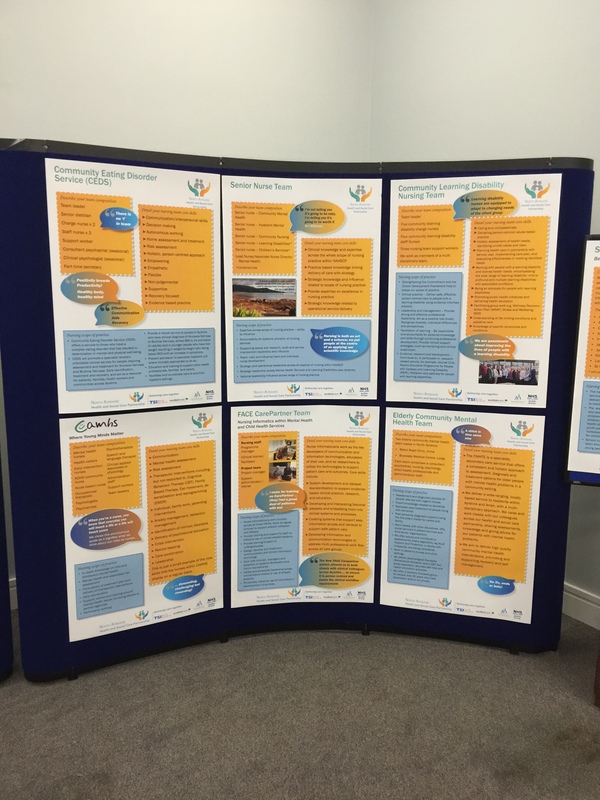 In the afternoon the delegates spent time looking at ‘the plan’ – the NAHSCP Strategic Plan – a plan that had been developed with input from the people of North Ayrshire. Each of the tables (10) took one of the five strategic priorities and explored how they, as nurses can support the delivery of the plan. The afternoon feedback session focused on the above topics was to the Chief Executives of North Ayrshire Council and NHS Ayrshire & Arran, to NAHSCP’s three Heads of Service and to the Senior Management Team. Again we saw key themes coming from delegates around the role of the nurse in accessing families at times of need, that nursing is one of the few roles that are with people throughout their lifespan – this brings a unique opportunity to influence health literacy, healthy choices, access to service and to address inequalities. Information and health was recognised as an important enabler, both in terms of sharing information across and within teams, but also in reducing administrative aspects of the nurses role. There was a clear enthusiasm evident from those present. In closing the event we heard from Elma Murray (@NAC_CEO), Chief Executive, North Ayrshire Council who recapped on the commitment she had heard during feedback, before re-emphasising the power of us all working together – not just within the Partnership itself, but also with colleagues from across the Council services. This theme of us being stronger together was continued in the feedback from John Burns, Chief Executive, NHS Ayrshire & Arran. It was then left to one of our newest Ayrshire nurses, Hazel Borland (@hazelNMAHPdir), Executive Nurse Director to recognise the significant contribution of one of our longest serving nurses, Jeanette Henderson who retires this week, 52 years after she first began her career here in NHS Ayrshire & Arran. Inspirational, caring, compassionate, role model are just a few words used to describe Jeanette – a nurse who hasn’t lost an ounce of her drive and enthusiasm for delivering person centred care from the beginning to the end of her career. We all wish Jeanette well in her retirement – and as one of our ‘bank nurses’, in the years ahead – yes, she has signed up to come back. A fuller, more detailed collation of outputs will be drawn together over the coming weeks – there was so many powerful messages of what nurses can do that a blog cannot do the day justice. Watch this space there is more to come. 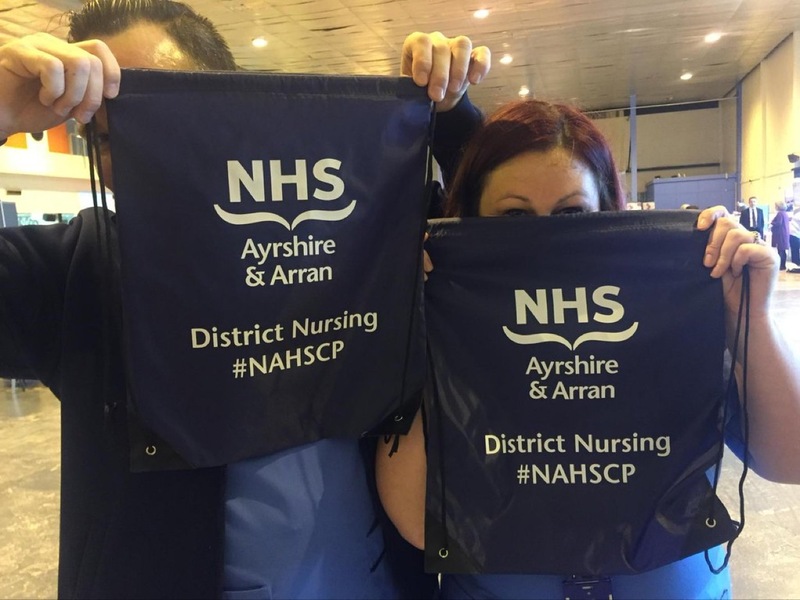 This week’s blog was by @dtbarron (Derek T Barron), Lead Nurse, North Ayrshire Health & Social Care Partnership; Associate Nurse Director, NHS Ayrshire & Arran. 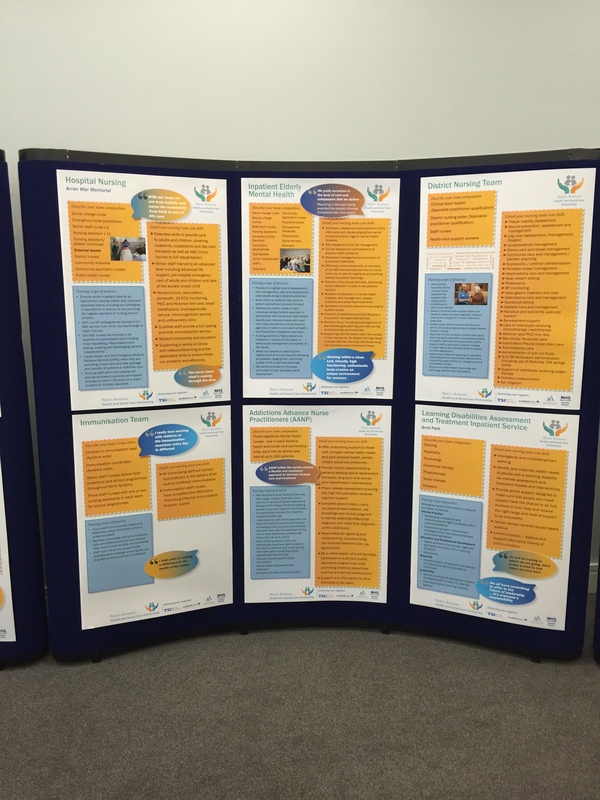 The pictures below are the posters which the nursing teams wrote to describe their role – they were designed by Eleanor McCallum (ellie_mccallum) and printed by Steve Palmer (@stevemedphot): thanks to them both for their invaluable assistance. 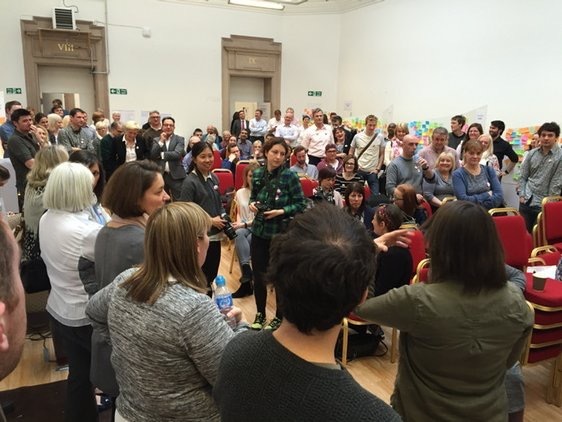 I’ve had 24hrs to reflect on my experience of the first healthcare ‘hackathon’ to take place in Scotland. So was it another tick in the box of the latest workshop methodology or was it a meaningful, purposeful exercise to explore the complex issue of unscheduled care, shape ideas and build commitment for change? 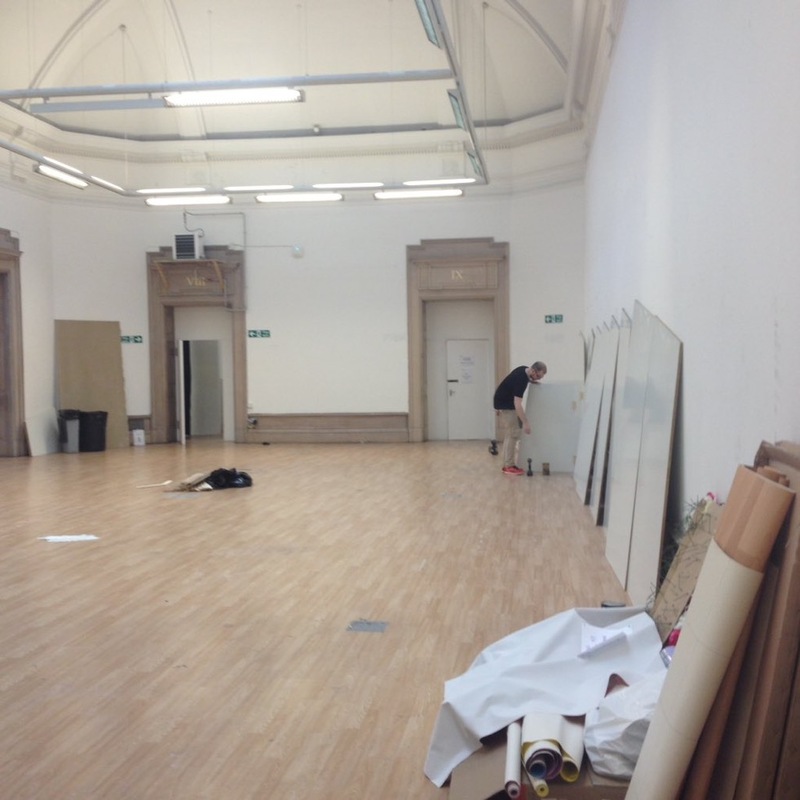 The hackathon was held in the Mclellan Art Galleries (Glasgow), which is currently being used as studio space for the Glasgow School of Art. I was originally concerned about participants having to travel from Ayrshire, but this was an inspired choice. The location created a real sense of a working space for the creative expression against a backdrop of the grand (Even the toilets added to the sensory experience – flashback to my school days!). Participants commented on a real sense of getting away from the daily pressures and the casual dress code added to the feel of something different! 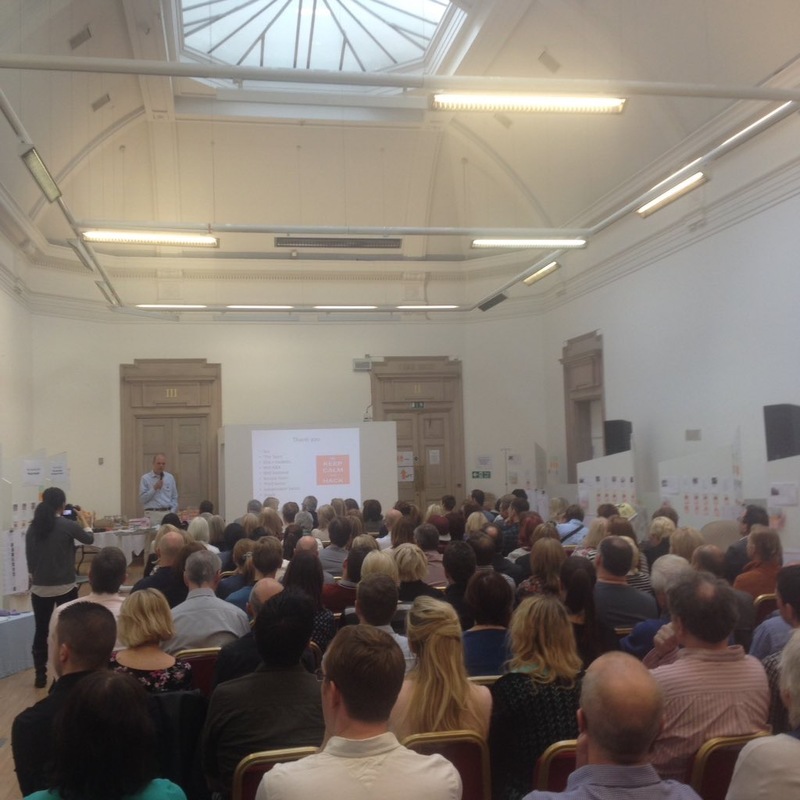 There was a real buzz in the room as the 150 participants (public sector, third sector, patients, private sector, art & design students) took their seats to hear the introduction from Dr Hans Hartung (project lead for hack). Hans emphasised the importance of carving out even a small amount of time to ‘day-dream’ and think about the future state and he reminded us that all great inventors achieved through failure – testing their ideas through prototyping. As a new experience it was clear that the hackathon methodology was taking many in the room out of their usual ‘comfort zone’. 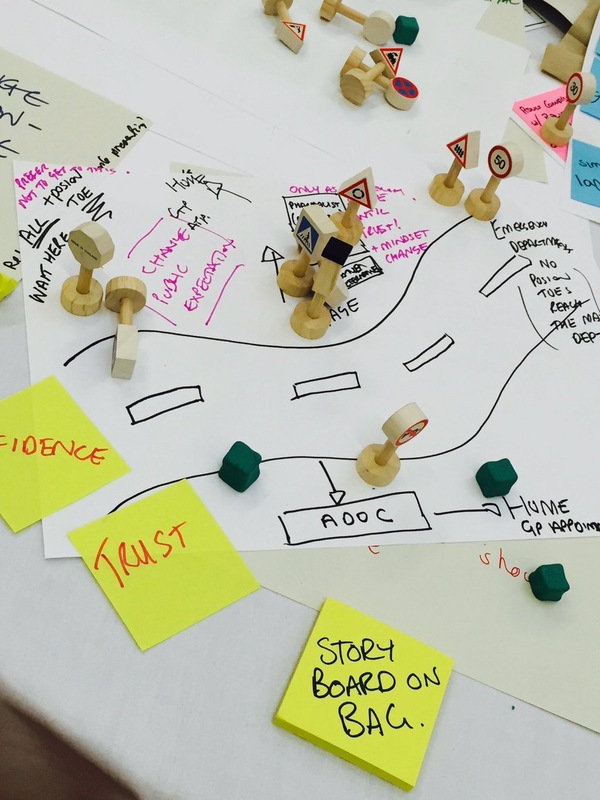 Working in the public sector we tend to stick to linear, structured planning processes and a hackathon is more iterative, with a focus on discovery of ideas to refine through prototyping. So we were told to trust the process (the approach is rooted in the double diamond design model developed by the Design Council). The first phase on day 1 involved the process of discovery. Snook had undertaken a considerable amount of pre-hack research, talking to a wide rnge of people about their experiences of unscheduled care. 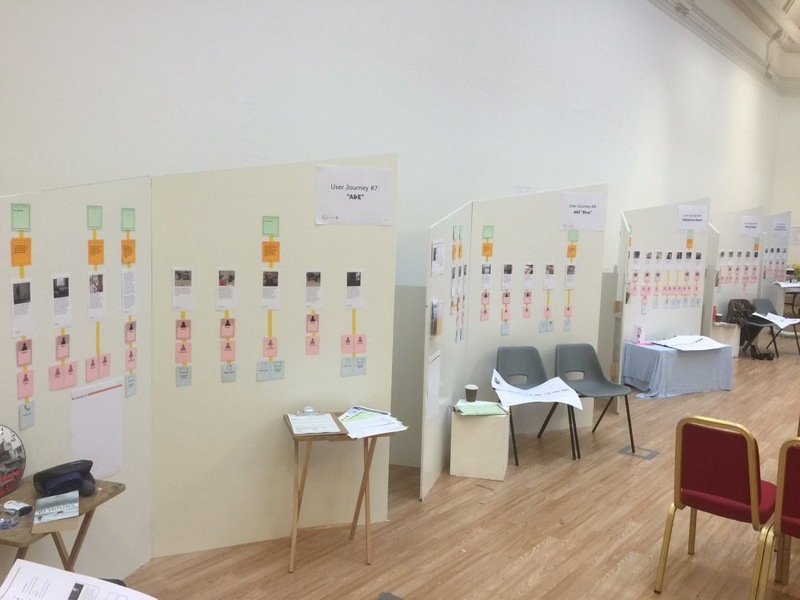 A number of case studies of an individual’s lived experience of various elements of unscheduled care were mapped out on story boards round the room. 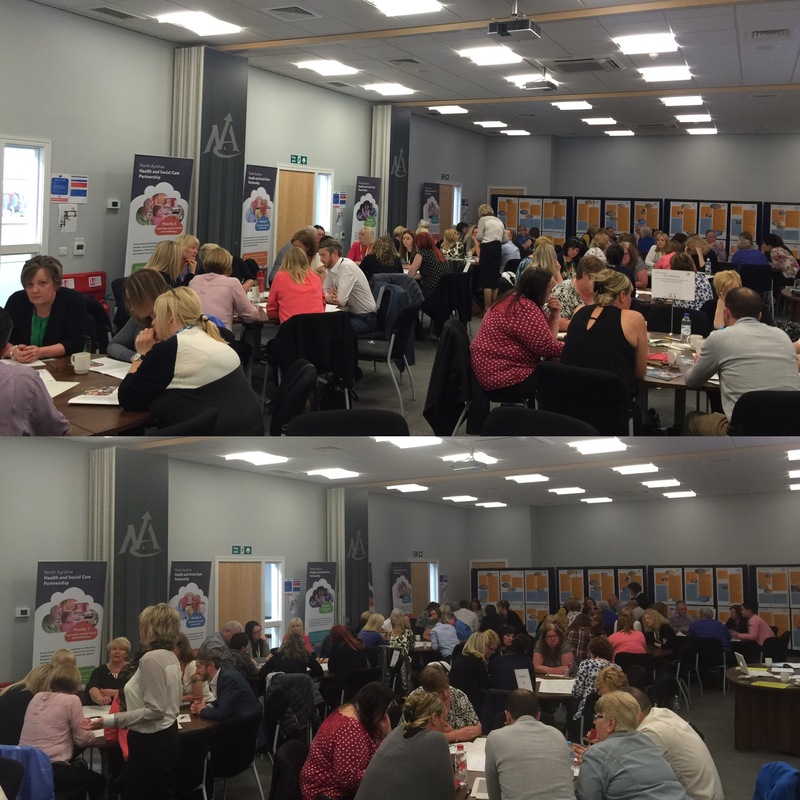 Participants were asked to consider the case studies and uncover challenges relating to unscheduled care. Listening and talking to participants, I was blown away by the insightfulness and powerful reflections on considering each case study. There was a real cacophony of debate, with many participants commenting positively about the opportunity to reflect on people’s end to end journey and not just thinking about their bit of the process. The feedback powerfully relayed the challenges of committed staff working with broken systems and processes. 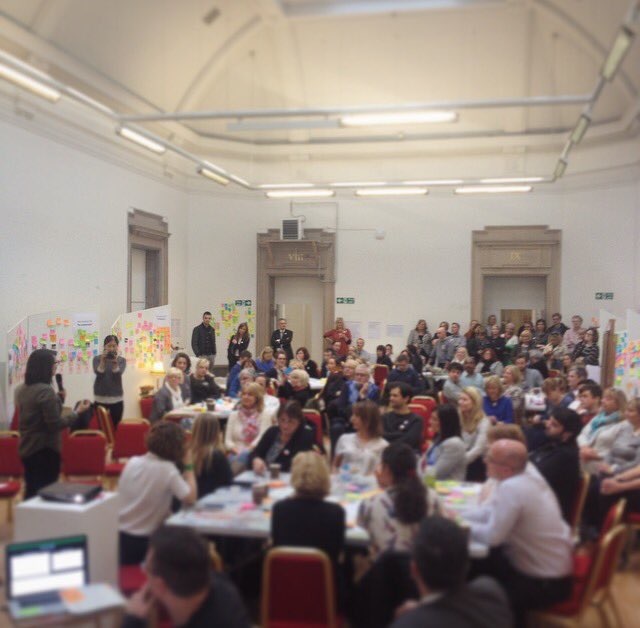 The passion for a more person centred approach was palpable in the room and it was humbling to hear feedback from participants that was rooted in a desire for collective change. The next phase of the ‘hack’ involved participants defining challenges that could be addressed and then forming teams around a mutual area of interest. This was a fluid process that allowed people to self select and changes teams as they wished. The last activity of the day involved the generation of ideas (as many and as ‘whacky’ as they liked), ‘chewing the fat’ over solutions to the unscheduled care challenge. I have been to very few events on a Friday where almost all participants stayed to 5pm on a Friday! It was great to see more than one hundred and twenty people return on the Saturday for day two of the ‘hack’. Day two focused on refining their ideas and prototyping how the ideas would work in practice. 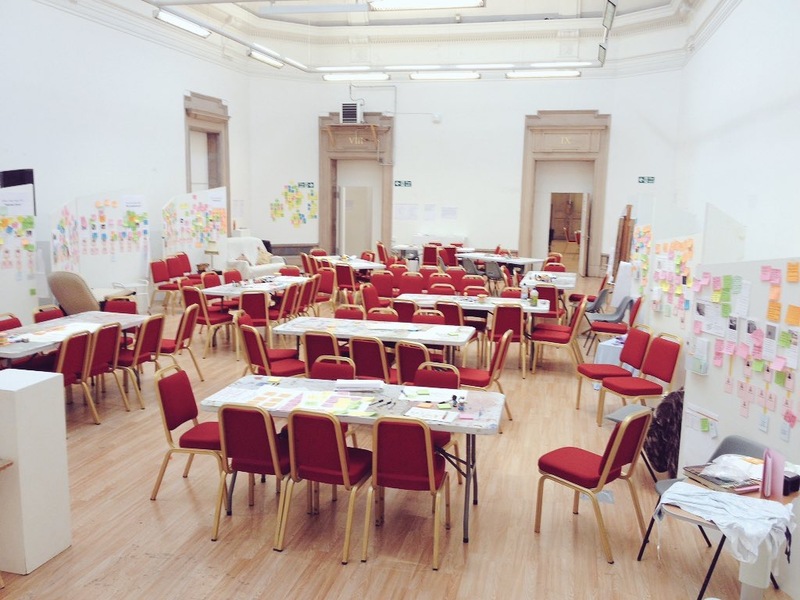 Teams greatly benefited from the art & design students facilitation (they are used to testing the ‘how’) and the support of expert mentors in the room (including product design, data management and quality improvement). This made me reflect on our historical practice in the NHS, where we plan in infinite detail to get it right first time, rather than prototype using an iterative process. We were furnished with loads of props and ‘arty’ materials to support us in our testing. The final stage in the process was for teams to present their proposals from the perspective of what it would feel like to experience their idea (in 4 minutes or less). So no death by powerpoint! 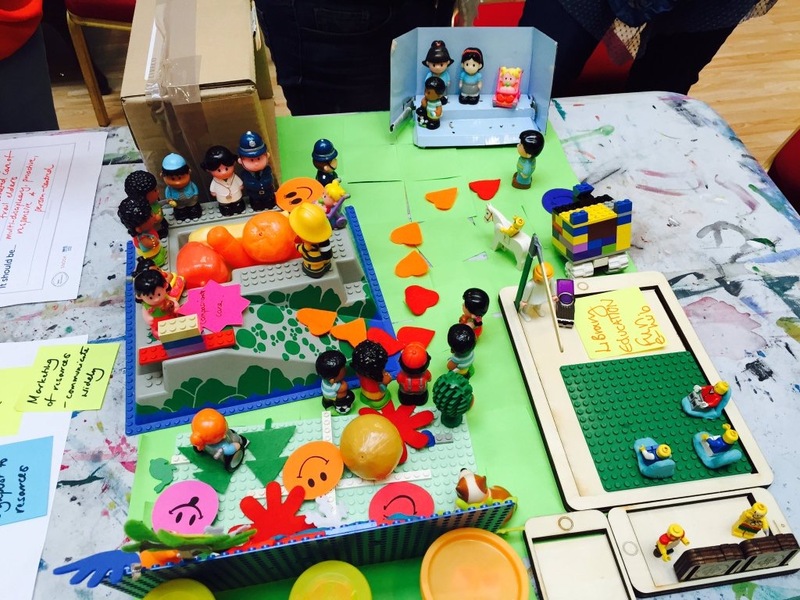 The teams rose to the challenge – we had drama, role play, audience participation, 3d models amongst the approaches used to get their ‘idea’ across. As well as the enthusiasm, passion and commitment generated by participants (I wish I could bottle this for use! ), copious amounts of valuable data, change ideas and projects were generated during the two day process. It is important that the synthesis and outputs from the event link with other conversations and change plans that are already in train (lots of good work already happening in partnership between the Health and Social Care Partnerships, Acute Services and other service providers). This was reinforced by Mr John Burns our Chief Executive in his closing remarks. The focus must now be on delivery, using the outputs from the hackathon to deliver the required change to sustainable person centred models of care. 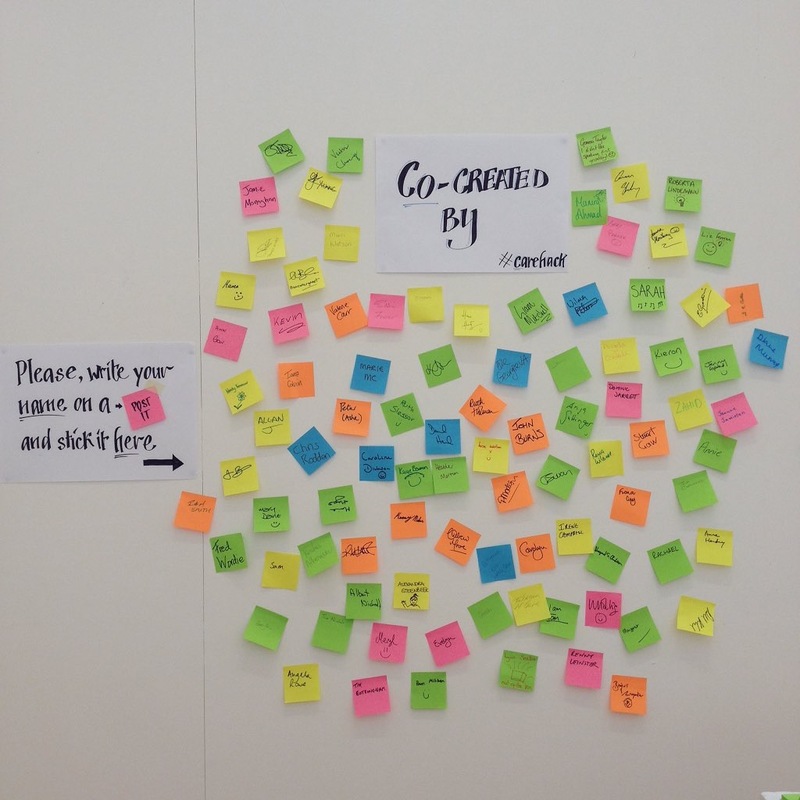 The outputs from the hackathon will be shared widely with stakeholders and there will be a follow up event on Friday 3rd of June at University Ayr and University Crosshouse Hospitals. So back to my original question – was the Hackathon a tick in the box or a meaningful exercise? I think it was really worthwhile for a number of reasons, but the ‘proof of the pudding’ will be in the delivery of change. 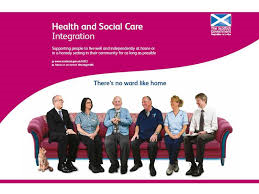 What do they contribute to the development of Health and Social Care Services in Scotland? And how will they be able to Revalidate as part of the new NMC process? All questions I have either been asked or have thought to myself over the past few years. As a Registered Mental Health Nurse I have now worked in the eHealth field for almost 15 years in NHS Ayrshire and Arran, and for the last two years as the Nurse Adviser to the Scottish Government eHealth Department. In a few months time I have the important job of completing revalidation, to retain my nursing registration with the Nursing and Midwifery Council. 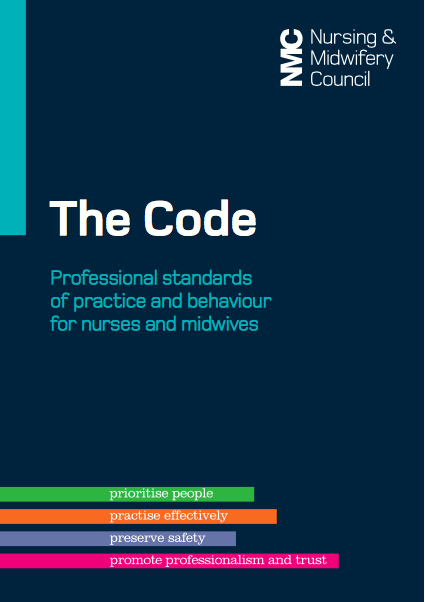 an event or experience in my own professional practiceI also have to relate these accounts to an aspect of the Nursing and Midwifery Council Code. 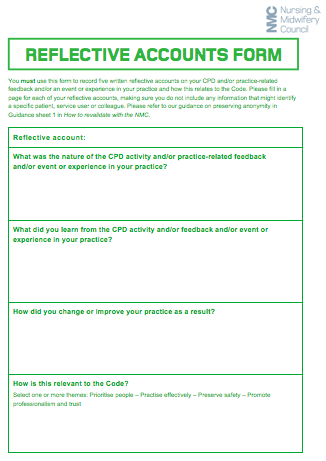 So my challenge to allow me to meet my revalidation requirements was to evidence some of the eHealth work I have been involved in over the last year in line with reflective practice and the NMC Code. 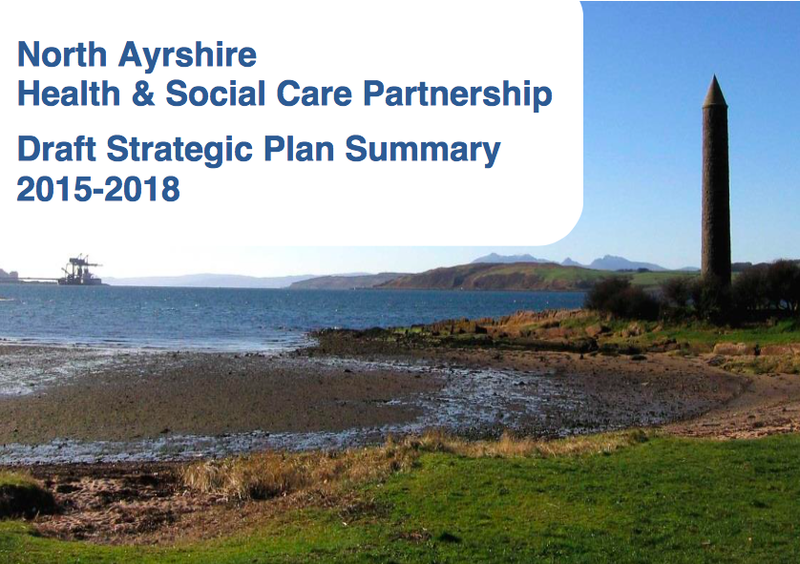 Over the last 18 months or so I have been leading on the system development, safe migration of data and the implementation of our new web based FACE CarePartner electronic patient record within Ayrshire’s Mental Health and Child Health Services. Although I am not involved in the provision of care on a daily basis I needed to ensure that the clinical eHealth systems support clinicians in the provision of person centred safe and effective care. This process included engaging with our supplier and over 100 clinicians and admin staff to go through a process of design, evaluation and testing, this is where my nursing knowledge and skills are key factors. 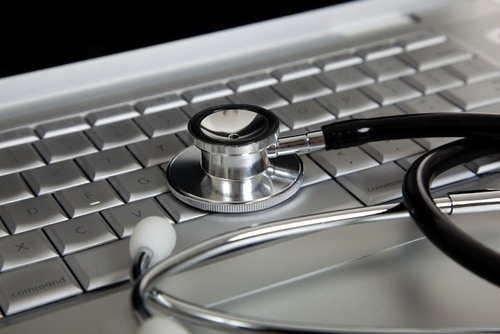 There is clear evidence that involving clinicians throughout the eHealth development journey aids their ongoing engagement and use of the system. We have a very positive development relationship with our supplier that supports us in building on what we currently have to improve systems functionality. 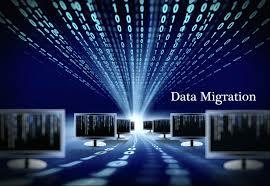 The new system implementation involved the safe migration of data associated with about 172,000 patients. This included about 36 million assessment and contact records for patients going back almost 14 years. It was important for the governance of our services that all of the data migrated safely and was associated with the correct patients and the correct clinicians. In order to facilitate this I had to ensure a robust process of project planning and a testing regime were put in place. Governance arrangement were set up to ensure that when safe to do so we could collectively sign off the migration project and move to the final live migration of the data. On reflection I learnt that when involved in such a big project be very wary of setting potential dates for going live before final testing has been completed. In the later part of the project we learnt from this and tended not to set a date until we were 100% sure that we could progress to the next phase. In developing the new systems function and content I had to ensure that we could follow the clinicians workflow of the person centred care process from assessment, to personal goal setting, care planning and of course the measurement of attainment against the patients goals being set. I also had to ensure that when we worked closely with the clinical teams to develop the clinical content of the assessments and care pathways within the system, that they were evidence based, and reflected the ability to collect a robust physical, social and psychological assessment of the patients needs. 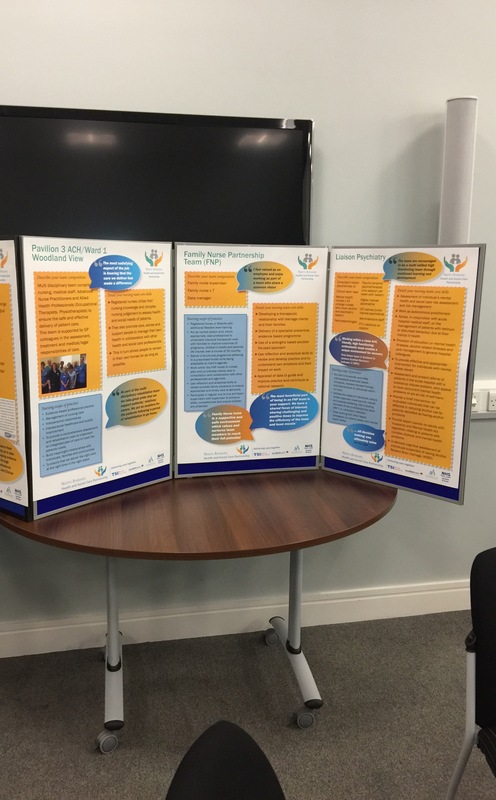 The person centred care planning components also had to reflect the opportunity to promote independence and engage the patient in the development and evaluation of their goals. The system was structured to ensure the secure storage of the data and supported a robust audit of the recording and access to the information that was stored. In our collaboration work I had to ensure that i communicated effectively with my colleagues to ensure they understood our work programme and how they could contribute to it. I had to ensure I communicated effectively to utilised the skills and expertise of my colleagues to support us in the safe development of the product. The system had to be developed to support the clinicians in recording care in a secure, timely, accurate and clear manner. The system was developed to facilitate quick access to information to support alert management and patient safety. Risk and child protection alerts were identified to support effective information sharing and promote safety. I was aware of my leadership role within this piece of work and had to maintain a positive and professional outlook at all times, supporting our registered staff and students throughout the process. Five months into using the new CarePartner system and things are going well. We have an opportunity to continue to engage with our supplier and clinicians to further develop the functionality of the system. 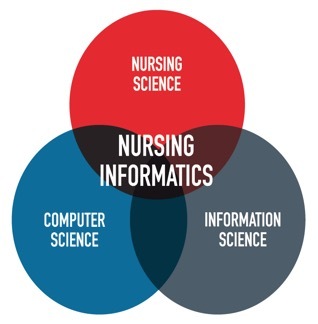 The skills and competencies of eHealth nurses support us in facilitating the relationship between Nursing Science, Computer Science and Informatics. Effective leadership and communication skills supported me in working with our clinicians to turn this into reality. And of course I’m several steps closer to fulfilling all my revalidation requirements. This week’s blog was by @markfleming1 (Mark Fleming) Programme Manager, Mental health/eHealth NHS Ayrshire and Arran/North Ayrshire Health & Social Care Partnership and Scottish Government eHealth adviser for Nurses, Midwives and Allied Health Professionals. The library can save you time so you can save lives. 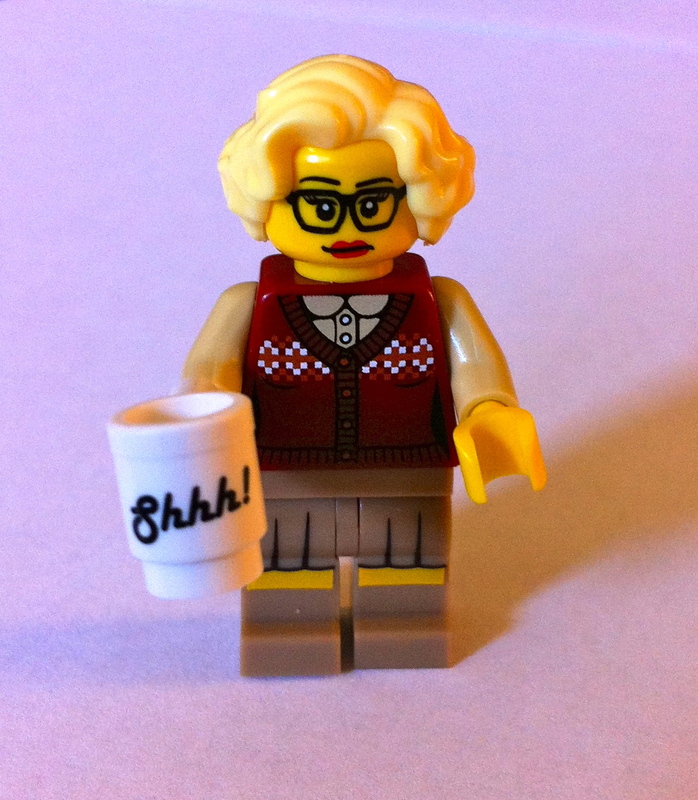 What does a health librarian do? I’m always amused by the comments I get when I’m asked what I do for a living. It has included “Do you go round the wards with a trolley?” and “It must be nice to be able to read all the books”. As for the latter comment, even if I had the time, the finer details of pathophysiology would not be my idea of a page-turner! So, I thought I’d try to remove the mystique of what goes on behind that library desk over the course of a typical week. In doing so, I hope that you may be able to see ways in which the library service can help you in your own role. 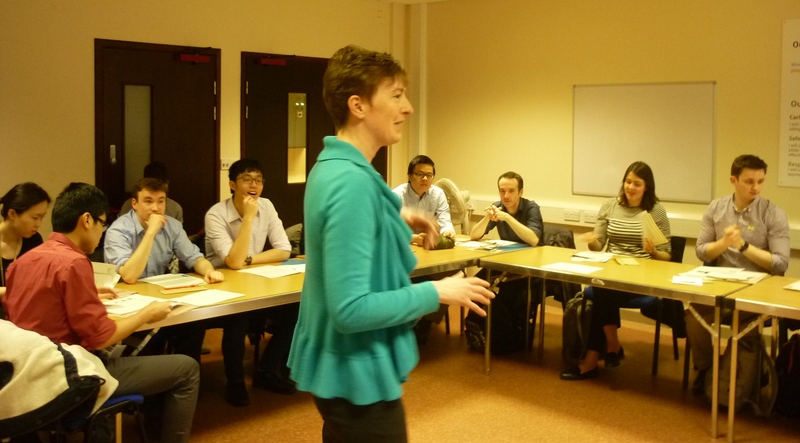 Monday morning and a new intake of medical students have arrived at Ayr Hospital. In a memory test worthy of “The Generation Game”, I give them an induction in what they need to know about the library; access, door code, open access wifi, using memory sticks, library catalogue, self-issue machine etc. 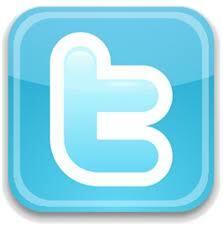 Then it’s time to check our Twitter account (@NHSAAALibrary) for notifications and any useful tweets to pass on. Literature searching for evidence-based information takes over the rest of the day and into Tuesday. Literature searches for the latest evidence and providing summary digests are a main part of our role within the healthcare community, and also the most rewarding. Today, one search is on service improvement, the other on the latest evidence for treating a patient with multiple conditions. 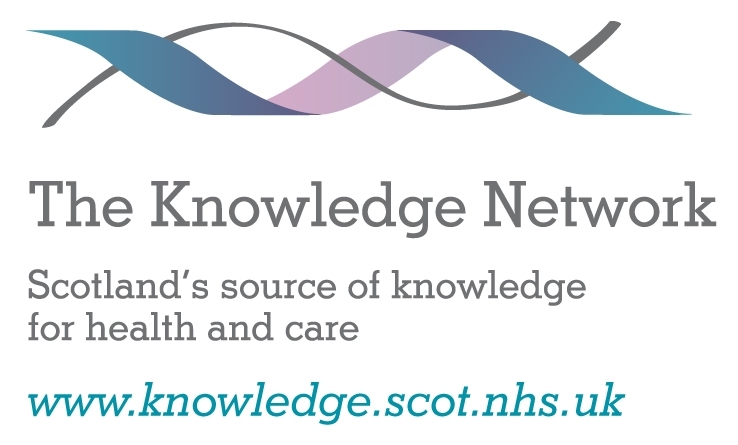 Later, I have a teleconference with other NHS librarians (aka “knowledge brokers”) on developments with national projects, such as The Knowledge Network – NHS Scotland’s information portal. Being part of a wider network is so important when there’s only a few of us in any one Board. It gives us the ability to collaborate on larger projects. I meet up with my colleague, Susan, on Wednesday to deliver information skills training to a group of social care staff from the new Health & Social Care Partnerships. It is held at Greenwood Resource Centre, Irvine, thanks to collaboration with North Ayrshire Council Library Service. We are also joined by Rob Westwood from NES who talks about the Social Services Knowledge Scotland (SSKS) website. Our role is expanding to include Health and Social Care Partnerships – a new challenge for us. Today I’m presenting at two audit meetings – Anaesthetics and Ophthalmology. The main message is that Library Services saves clinicians time and provides them with up-to-date information to inform their practice. Promotion of the service and the resources available to staff and students is a constant part of my role. Even though staff may have been with the organisation for years, they are still surprised at the range of ways in which we can help them. If you have used our services in the past and found them useful, please pass this on to your olleagues. I also provide free pens, which always goes down well. I have time to do some new book selection and ordering on Friday before going to Woodland View for an update on the move to our new library there. It’s great to have the library in the centre of the new facility for easy access by staff and students and it’s close to the coffee shop too. I can’t wait to see it open. So that’s my week in a nutshell. 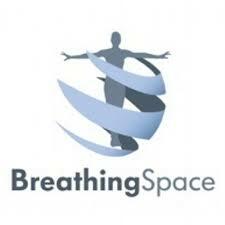 I hope it inspires you to come in or drop me a line if you are looking for the latest information to inform your practice. When I was a student nurse back in the 1980s, caring for patients with malignant pleural effusion traditionally involved a lengthy hospital stay. I was quite frightened of chest drains, which were clumsy and cumbersome, with apparatus consisting of lengthy rubber tubing, and underwater drainage systems using heavy glass cylinders, like over-sized Kilner jars. Rope-like sutures and large amounts of pink, sticky, sleek tape adhered to the patient’s chest wall, held the daunting structure in place. The risk of displacement of the drain apparatus required it to be kept upright and not pulled or tugged. This left the patient dependent on others for assistance with mobility and the activities of daily living. I approached these patients with much anxiety, terrified that I would disturb their respiratory plumbing; goodness knows how they felt! Three years ago, when I first encountered Dr. Guhan, chest physician, I had to challenge my thinking. He demonstrated that indwelling catheters are now neat, light-weight, soft silicone devices: a delicate tube is initially neatly sutured in place and protected by a showerproof dressing. In addition to the manufacturer’s product guidance, Dr. Guhan has produced a flowchart algorithm which provides district nursing staff with the autonomy to manage chest drains themselves, and a troubleshooting guide that indicates when to contact him for guidance. The flowchart indicates frequency of aspiration as determined by patient symptoms and pleural volume. 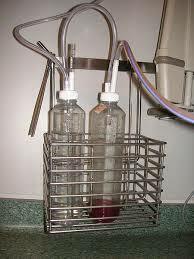 When required, disposable plastic bottles are attached to the catheter to allow pleural drainage. Anchoring sutures are removed seven days post-insertion. Thereafter, a polyester cuff forms a seal under the skin surface to hold the catheter in place. Yes, it is. However, in order to enhance my own understanding and share this new knowledge with others, I was required to research a little more. In developing the workforce’s knowledge, one of my colleagues demonstrates the procedure in a YouTube video: Dr. Guhan has also provided educational sessions for district nurses, GPs and hospital personnel, with participation from patients who, despite the limited prognosis of malignant disease, have shared stories of the positive impact of being looked after within their community. This patient-centred approach puts the individual back in control of their situation, allowing them to be cared for at home with minimal hospital attendance, usually on an out-patient basis. This enables the patient to choose how to spend valuable time when feeling less fatigued: whether with family or friends, pottering about in the garage, at the flower show, or on the golf course. For those less able, breathlessness can be eased by draining their pleural catheter in the comfort of their own bed. I am currently caring for a young lady with breast cancer, who developed a malignant pleural effusion 18 months ago. An indwelling pleural catheter really has provided her with breathing space: she is no longer breathless and can get on with life, getting married last autumn and now planning a family holiday to America. Last week, I received an email from Dr. Guhan inviting me to a meeting to discuss the care of patients with heart failure who have chronic pleural effusions. He wants me to consider whether they can be managed at home with indwelling pleural catheters so they can have more breathing space too.